Personalized black & khaki 44” arc barrister auto – open folding umbrellas are very popular choice for business gifting during promotional events because people always love black alterations with any bright color. 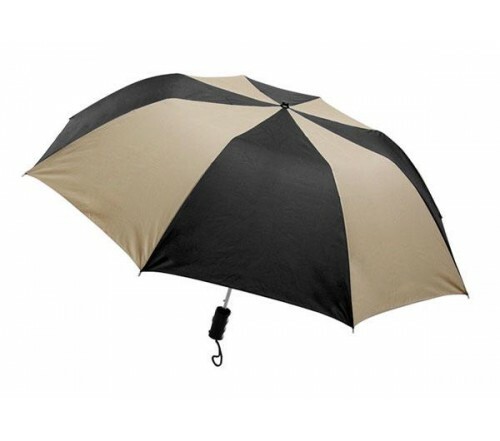 Promotional black & khaki 44” arc barrister auto – open folding umbrellas can be sought by marketers in all business niches because they are affordable and manageable within bags or bag packs. Is equipped with features such as plastic handle with carrying strap, metal shaft, auto- open function, 44” arc black & khaki canopy. Dimensions- 44", folds to 15". Imprint area – 9 ¼ “W X 6 ¼” H X 6” top.